Auction Napa Valley, an annual event staged by Napa Valley Vintners to aid educational and community health non-profits, has opened the first of its three-pronged bidding extravaganza – an “e-bidder experience” offering up more than 250 lots of wines and what NVV calls “culinary and hospitality adventures”. Registration began yesterday 27 May for those unable to attend in person the 38th annual Auction Napa Valley (ANV). By visiting the website, registrants may obtain an e-bidder paddle package to bid remotely by mobile and web apps. In total, the auction offers bidders 152 lots for e-bidding only, 32 live lots available during the Saturday (2 June) main event and 110 barrel auction lots, also to be auctioned on Saturday. 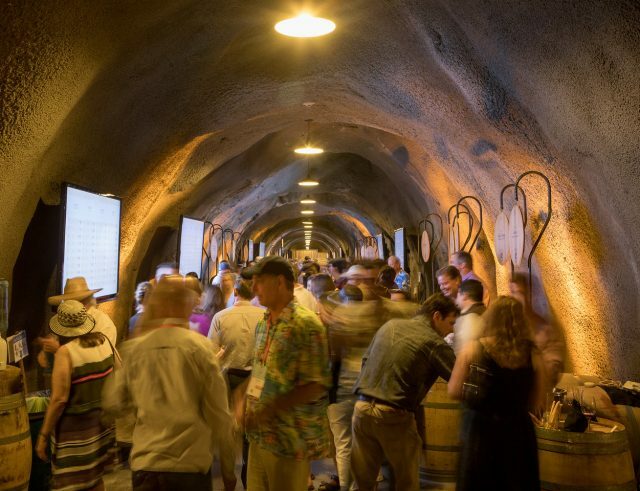 Auction week activities officially begin on Thursday night (31 May) with a series of welcoming dinners hosted by wineries around the valley, followed by a barrel tasting beginning late Friday morning at the Charles Krug winery. Krug is owned by the Mondavi family, and co-owners, Marc Mondavi Jr.’s daughters – Angelina, Alycia, Riana and Gigi Mondavi – are serving as 2018 honorary ANV chairs. A second event dinner will be held Friday night at various Napa Valley wineries. The auction of live lots begins at 1 p.m. on Saturday under the white tent at Meadowood Napa Valley. The final event of the day is an after party at The Charter Oak, the somewhat casual restaurant in St. Helena co-owned by the Restaurant at Meadowood’s three Michelin-starred chef, Christopher Kostow. While most of the lots involve either current or future cases, barrels and bottles of NVV-member wines, some offerings are more fanciful, involving both wine plus travel to places such as Abu Dhabi, Patagonia, Hawaii and Dubrovnik, either by sea or air. Others are collaborative lots, including 15 bottles from vintners in the Stags Leap District and one that includes bottles from three wineries – Amizetta, Gamble Family and Somnium, owned by race car driver Danica Patrick. Patrick, who retired from the sport after Sunday’s Indianapolis 500, also has an added attraction to sweeten the lot – taking the winning bidder on some fast laps around nearby Sonoma Raceway. Tickets for the auction, which come in six different packages, have already sold out. 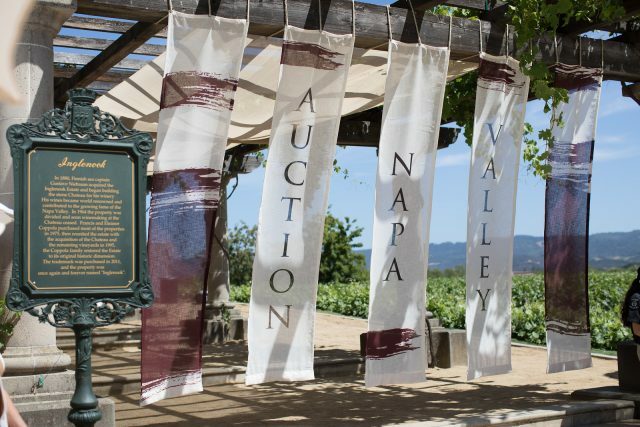 To date, auction proceeds have allowed NVV to invest US$180 million in children’s education, affordable housing and community health in Napa County, including a $10 million lead grant toward establishing the Napa Valley Community Disaster Relief Fund, vastly important during last fall’s wildfires. Last year’s auction netted US$15.7 million.